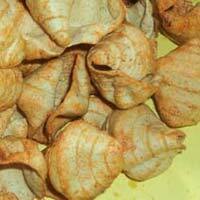 Shell papads are a favourite among kids and adults alike. They come in shell shapes and are tasty to eat. 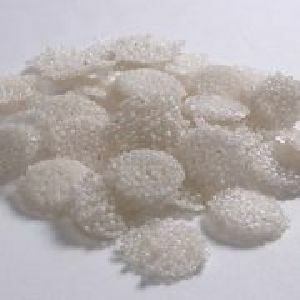 Sago Shell Papad is the best choice that is available. 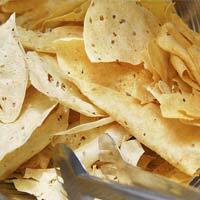 Our To be Fried Papad is made from premium quality materials and processed using hygienic methods. The packaging is done by advanced techniques that ensure that the taste is not lost when stored. We supply these in bulk and medium quantities. We are acknowledged for providing safe transaction modes for the payments which include online as well as offline method. Thus, we accept cash payments along with bank transfers. Situated in Coimbatore(India), the company has carved a niche for itself in the market with its flawless range of products. The sago is soaked, and cooked in pressure cooker. Salt, along with green chillies are added. 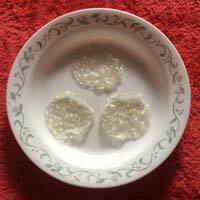 This is then made into round papads and dried in the sun. 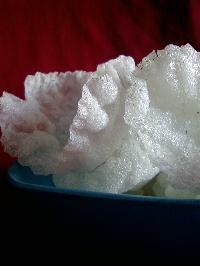 Colours may be added to the dough to produce variously-coloured sago papads. 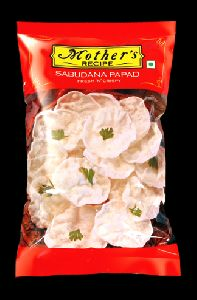 Description Sabudana papads are crunchy and absolutely delicious, Bite into them at brunch, lunch or dinner. Snap them up at tea time or watch them vanish at parties. 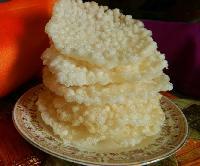 Sabudana papads are simply irresistible. Ingredients Sabudana edible common salt, Edible vegetable oil. 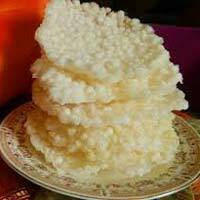 We offer sago papad. 100% hand made, 100% export quality. 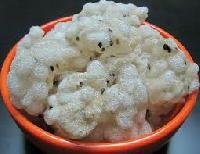 We offer sago papad. 100% handmade, 100% export quality. 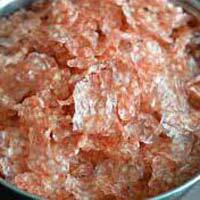 Sago Tomato Fried Papad is a highly famous product among our consumers. It is loved for its unique taste. 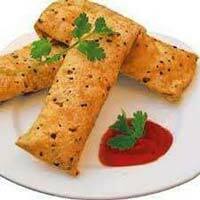 Our To be Fried Papad is prepared under hygienic conditions using premium quality ingredients. 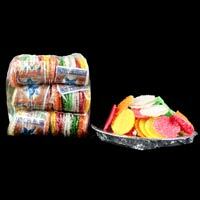 We entertain all kinds of bulk and medium sized orders. If you are interested, feel free to contact our sales executives. They will provide you with further details. 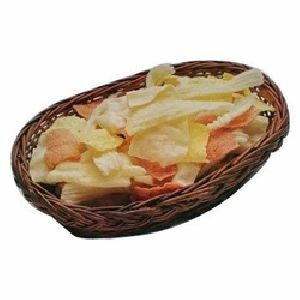 Cheese papads make an ideal snack or can even be consumed as a part of the meal. 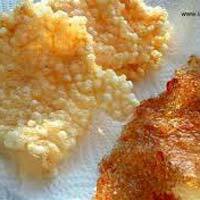 Sago Cheese Fried Papads are available with us. We have been supplying these for a number of years to our loyal customers. These are tastier than most other products that are available for sale today. 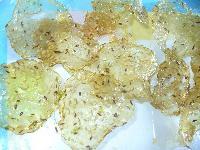 Also, our To be Fried Papad absorb less oil and are quick to make.